I received a few blogging awards over the past couple of months and have been too lazy until now to write a post, so here it goes. Ella Medler and Laura Thomas both awarded me the Most Inspiring Blogger Award, and Ella also gave me the One Lovely Blog Award. 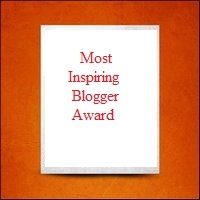 Margaret Alexander from Story Addict nominated me for the Very Inspiring Blogger Award. I’d like to thank all these lovely ladies for thinking of me. 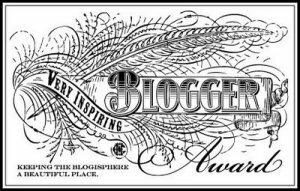 Ella drew up the logo for the Most Inspiring Blogger Award herself so I’m using that below. I’m from Cork, Ireland. Cork is the biggest county in the country and the ‘real capital’ of Ireland! 🙂 Cork is where you’ll find the Blarney Stone. If you kiss this magic stone, you will be bestowed with the Irish gift of the gab. If you ever visit Cork, you’ll be sure to find plenty of Ceol agus Craic (music and fun – not drugs). Christmas time in Cork. 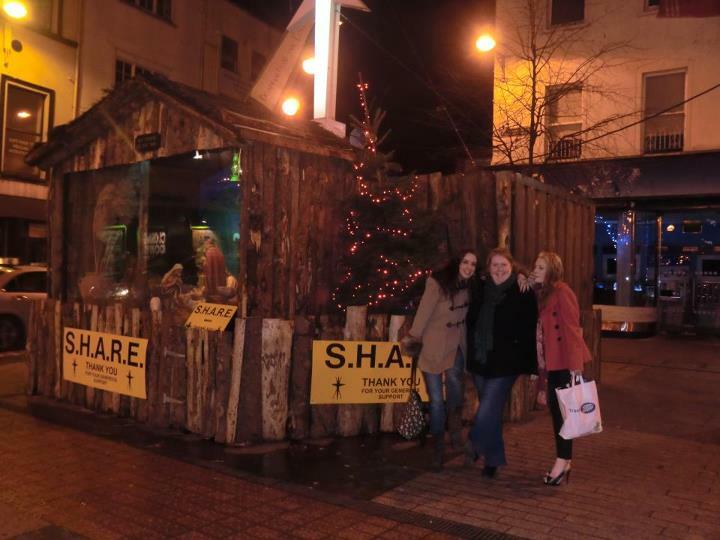 Pals & I hanging out by the Share crib after ceol agus craic. If I had to pick one movie to watch over and over again for eternity, it would most likely be Dirty Dancing. 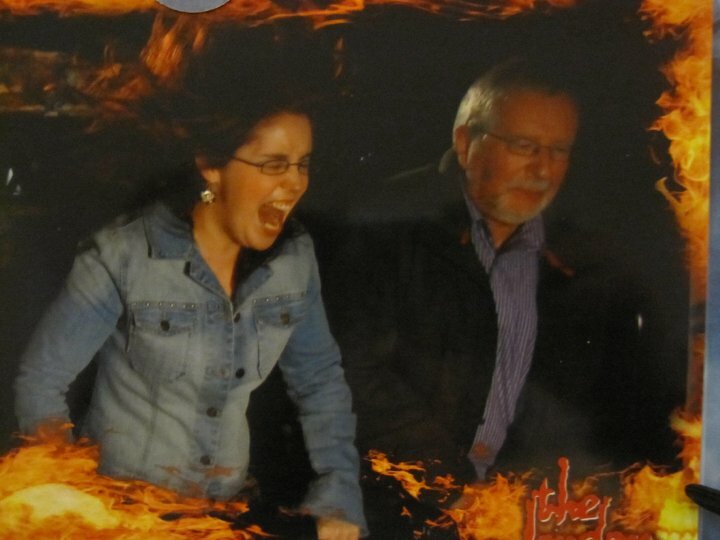 I dragged my poor Dad onto a ride at the London Dungeons. I studied English and History at University College Cork (UCC) and graduated in 2005. I am seriously considering internet dating. Eek! Yes, my love life is really that bad. I love beer. You will find me in a pub on a Friday night drinking pints of Budweiser or else bottles of Coors Light. The only time I ever drink Guinness is if I’m hungover. On a plane to Edinburgh once, an air hostess approached me and asked if I was travelling alone because minors had to be under adult supervision. I was 24. Now I’d like to pass along these three awards to Michelle Cornwell-Jordan, Shannon Moreau, Debra Kristi, Margaret Alexander (I had you pegged for this before you did your post), Lauralynn Elliott, Catie Rhodes and Tiffany A.White. I always look forward to reading these gals’ posts. 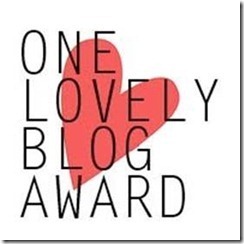 This entry was posted in Various and tagged blog awards, blogging awards, blogging community, blogosphere, most inspiring blogger award, one lovely blog award, very inspriring blogger award. Bookmark the permalink. Aw, that was so sweet of you! I’ll get my post done today or tomorrow. Thanks so much, Emma! Great. I’ll pop over to your place shortly and take a look. Love the picture of you and your dad! I have one like that of my mom and me where she looks absolutely terrified but I seemed to have misplaced it. Bummer. And someday you’ll be thankful that people mistake you for younger than you are. 😉 Thank you for the award! Or awards! Wow, seriously. All three? I don’t know what to say to that. I’m truly touched. Huge hugs! I hope you find that pic of your mom. If you do, you’ll have to post it! I still get asked for ID when I go to a bar. It’s ridiculous at this stage. And you’re welcome. I always look forward to reading your posts, especially Immortal Monday. Thanks, Emma! 😀 Still lovin’ that you’re Irish! I tried to convince my mom to go to the Dungeons when we were visiting a few months ago, but she decided that she would rather see Stonehenge/Bath. Since she was paying, I sort of let her make the decisions. Maybe next time I travel. I’d love to go see Stonehenge. What was it like? If you get back to London, they’re worth a visit, but be warned, they pull people randomly out of groups. My sister got thrown in a little jail and had everyone laughing at her when she was unable to identify various medieval torture devices. Another person was put on trial and more people became the victim of Sweeney Todd. Entertaining fun all round. Stonehenge was interesting and a bit mysterious, though the day we went it was very cold and rainy. We also should have gone either early in the morning or late at night since they allow visitors to touch the stones during those times of days. And I will keep your warnings in mind. I hate being put in front of large groups of people. I hope to see it myself some day. Going late at night sounds pretty cool and magical. Interesting facts, especially the last one! Thanks for sharing such interesting facts about yourself. My husband is into beer, too. My job at the supermarket is to look for beers he has never tried. You’re welcome Catie. On a hot summer’s evening, there’s nothing nicer than an ice cold beer! Do you remember us posing for pics outside the crib last year? Thanks girl. You did look fabulous. Mutton Lane, dinner and SHARE crib. Fun times. I’ve been meaning to get on here and thank you for the award, Emma. (Bank statement and credit card messes I’ve been clearing up. Blech.) And congratulations on your awards, too! You deserve them!! Emma Meade connected with me after I posted a “The Vampire Diaries” book review, and we’ve been following each other ever since. Emma’s got killer taste in music, TV shows, and books, and is about to release her own novel, “Under the Desert Moon.” Congratulations to Emma for her blogging awards! Lovely post. Enjoyed the pictures!